John Worthington, minister of the Mira Mesa Presbyterian Church and past president of the Mira Mesa Community Council, was honored by the Mira Mesa Town Council at its second annual “Volunteer of the Year” Recognition Dinner, on Monday, August 5 1986. Verne Goodwin, the previous year’s honoree, was master of ceremonies for the evening, which featured a “roast” of Worthington by several members of his congregation and by other community leaders. Mayor Roger Hedgecock and City Councilman Ed Struiksma attended. Mira Mesa High School’s graduating seniors Connie Viado and Kelly Rudiger, this year’s winners of the Mira Mesa Town Council’s Verne Goodwin Perpetual Scholarship Fund, read their scholarship essays. Others helping to roast Worthington were Sandra Sparks, Community Council director; Nancy Ajemian, Harmonium; Jack Dean, Mira Mesa Mall; George Yee, Miramar College president; and Janet Williams, Jackie and Steve Palmer, John and Kathy Hoste, Tom and Vera Coniglio, and Rich and Diane Graber, all from the Mira Mesa Presbyterian Church. “Many people don’t realize how many ‘firsts’ in the community John has been involved with,” said Nancy Ajemian, the director of Harmonium, a youth and family social service agency based in Mira Mesa. “In addition to the church, John was on the first board of Harmonium, and he was active with the planning committee that first brought schools to Mira Mesa,” Ajemian said. Worthington also was one of the founding members of the Mira Mesa Community Council, the umbrella body of civic groups, service clubs, business, educational and social service organizations in the area. He served as the first Community Council president for three full years, from 1981 to 1984. In fact, the first church service of the Mira Mesa Presbyterian Church (formerly the United Church of Mira Mesa) was held at the Mira Mesa home of John and his wife, Barbara, on October 1, 1972. Later, the church became established at its current location just off Mira Mesa Boulevard at Reagen Road. Seattle. He attended the University of Washington School of Medicine for two years before entering the San Francisco Theological Seminary. In October 1990, John left Mira Mesa Presbyterian Church in order to accompany his wife, Barbara, who had accepted an invitation to lead an administrative ministry of the Presbyterian Church (USA) in New Jersey. In 13 years in New Jersey John was the transitional pastor of 4 congregations and 2 administrative units. He was the member of several ministerial associations and after 9/11 a member of the New Jersey Interfaith Task Force for Disaster Preparedness. John and Barbara retired in 2003 and moved to Freeland, Washington, a town on Whidbey Island, NW of Seattle. They had a temporary ministry in 2007 in the Langley United Methodist Church on the island and enjoyed traveling – Russia, China, Italy, Austria, Germany, France and Croatia. Barbara died from complications of breast cancer in 2009. 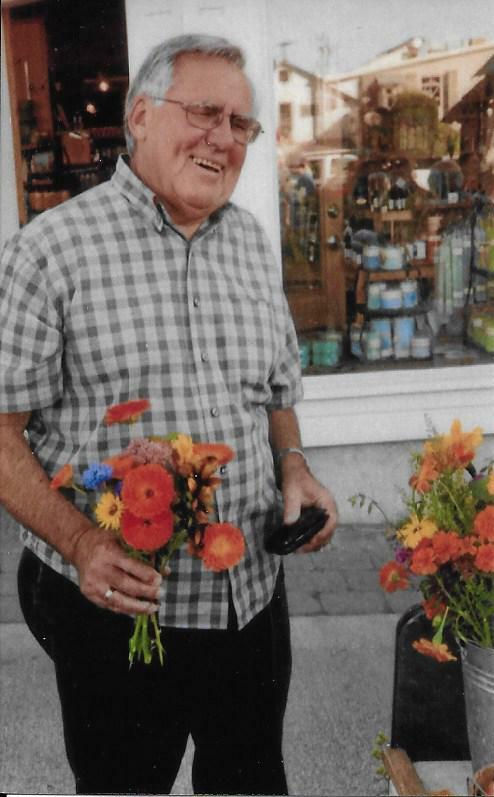 On the island John was a member of the Board of Good Cheer Food Bank of South Whidbey and a member and president of the Boards of Helping Hand of South Whidbey and Whidbey Watershed Stewards. He was the stage manager for the Saratoga Orchestra of Whidbey Island. In 2014 he moved from the island to Seattle with his partner, Judy Furukawa. John’s three children – Mark, Beth, and Kate – and their families are scattered across the country. He has five grandchildren.